The Bogner Fire + Ice Lela3-D Down Ski Jacket is a best seller — and for good reason. 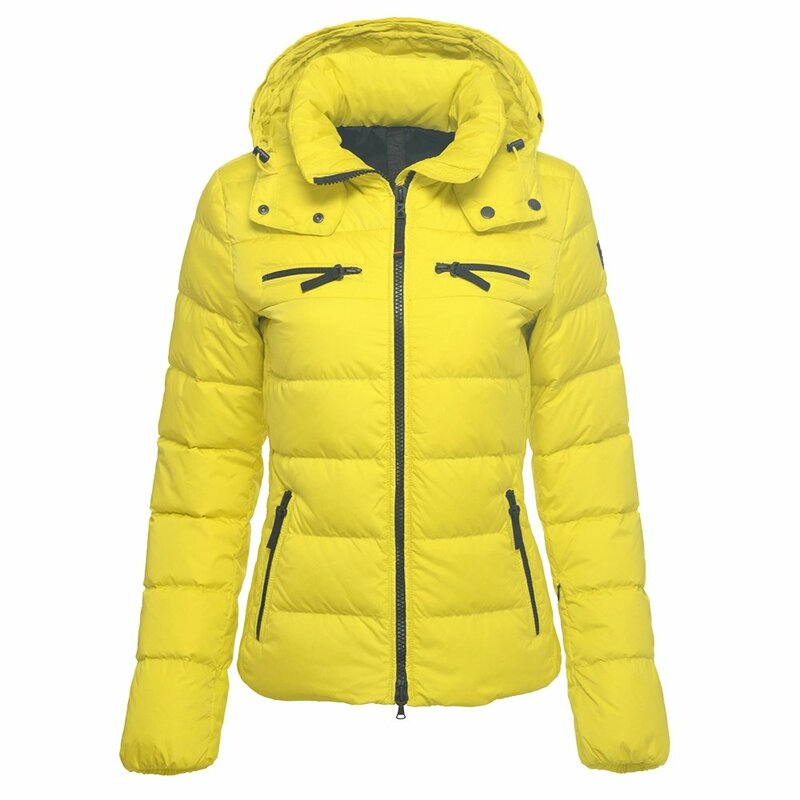 It easily goes from ski wear to city wear, thanks to smocked side panels that give this jacket a fitted look. Despite the sleek silhouette, this women’s ski jacket manages to house 650 fill-power duck-down insulation. On the slopes, you’ll find the numerous pockets, elastic cuffs, and powder skirt immeasurably helpful, while the removable hood is perfect for urban wear. The Bogner Fire + Ice Lela3-D Down Ski Jacket is made with an active nylon fabric and has a DWR waterproof finish.